My drinking sessions are usually followed by a session at the mamak (to sober up). Last Saturday, rif decided to forgo mamaks and took me for a burger instead. Otai burger to be specific. 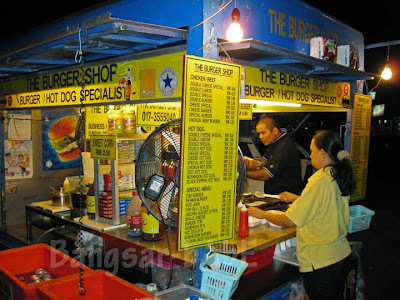 We went to The Burger Shop in SS15, Subang Jaya as rif’s colleague told him how good the burgers were. 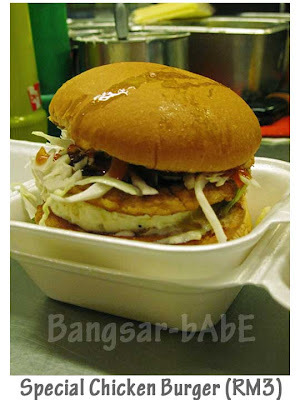 Otai burgers are made by butterfly-ing the burger patty and placing it on the grill. The patty is not pressed. Instead, it is singed on the outside and constantly stabbed to allow the insides to cook without relieving the patty of its glorious juices. They only use lettuce (no cabbage) for the garnishing. At 1.30am, there was quite a queue. 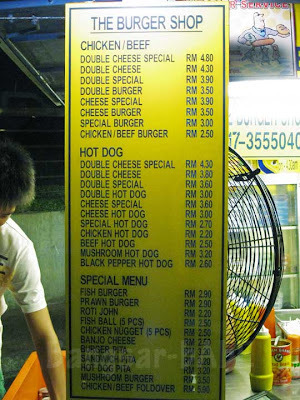 I was greedy and ordered the Double Cheese Chicken Special while rif had the Special Chicken Burger. Basically, mine was double of his. =P Juicy and fully flavoured, my burger had lettuce, tomatoes, two slices of cheese, an egg, a generous slather of mayonnaise and chili sauce. 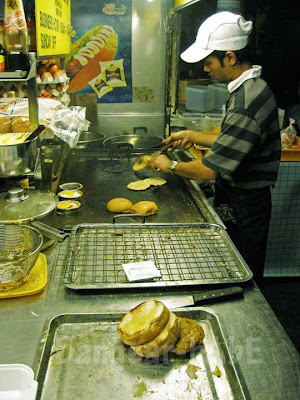 It was hard for me to take a bite without all the sauces oozing out and the patties sliding out from the burger buns! rif could, because his mouth is bigger *hehehe*. Pretty damn messy but gosh, it was tasty! It’s been quite a while since I had a good, sloppy burger. Open from 6pm to 4am daily, except Sundays. Verdict: Deliciously sloppy, I’d choose Otai over McD and Burger King anytime! That is one MASSIVE burger!! Would probably need to split it in half but yeah, totally perfect for post-drink munchies!! 550ml – Yup! It was massive, and every bite was a delight! now I am so tempted for a huge burger! 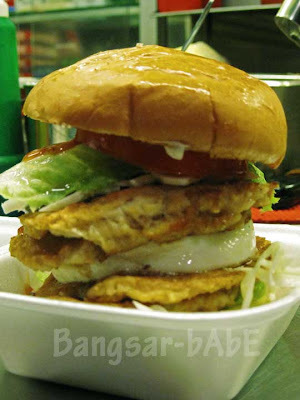 These Ramly burgers are really good. I would want to store a few packets in my freezer for those days and just dump a few on my griddle. 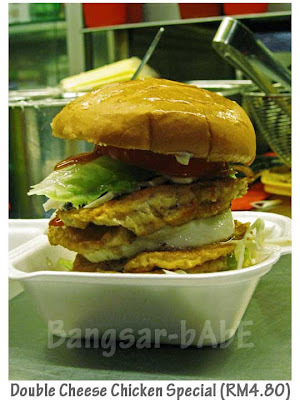 u guys should try the new ‘Burger Bakar’ extremely delicious!!!! the beef patty homemade 200g its fantastic!!! Hi… I wish to have their contact number for business opportunity. I wonder you have it or not? If you have, can you please share with me?